Pioneers in the industry, we offer single bucket wringer trolley 20ltr, solar panel cleaning brush, sponge mop and pva mop from India. We are instrumental in meeting the diversified requirements of our clients by providing them creatively designed range of Galvanized Cloth Wipers. Designed by making use excellent quality raw material besides other basic ingredients meant for the purpose, these wipers are manufactured in strict adherence to industry laid quality standard. 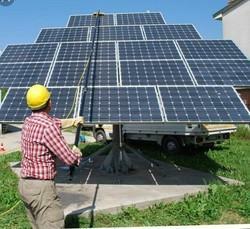 In addition, our range of offered products is further tested by our team on various methods. 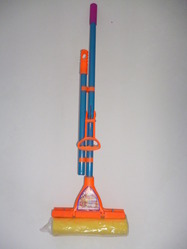 With our expertise in the field of manufacturing, supplying and exporting we offer our valued customers Plastic Sponge Mop.Among our various offering it includes roller sponge mop sets, revolutionary sponge mops, dry sponge mops, clean room sponge mops, mopping sponge mops, steel sponge mops and automatic sponge mops. We also offering round toilet brushes, royal toilet brushes, single toilet brushes and plungers. 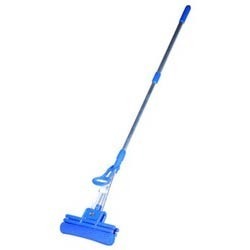 These mops are light weighted and provide easy and efficient cleaning. We are coveted firm engaged in manufacturing and supplying PVA Mop using advanced technologies for our esteemed customers. These scrubbers are made of Fine quality materials which is widely appreciated by our customers. They can be easily adjusted according to the requirements. 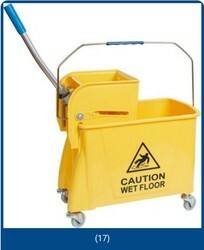 These PVA mops are durable in nature, robustly built, corrosion resistant and dimensionally accurately built. Looking for WRINGER TROLLIES & BUCKETS ?